My god, will you look at that rhubarb?! It’s a good thing I got married in August instead of June or I would have been some wacko bride carrying a bunch of rhubarb down the aisle instead of a bouquet of flowers. I bought the rhubarb and the garlic scapes solely because they were pretty. I’m not really a shining example of frugality and practicality at the market, but I do know how to get a really good deal on toilet paper. This entry was posted on June 26, 2011 by Megan @ When Harry Met Salad. 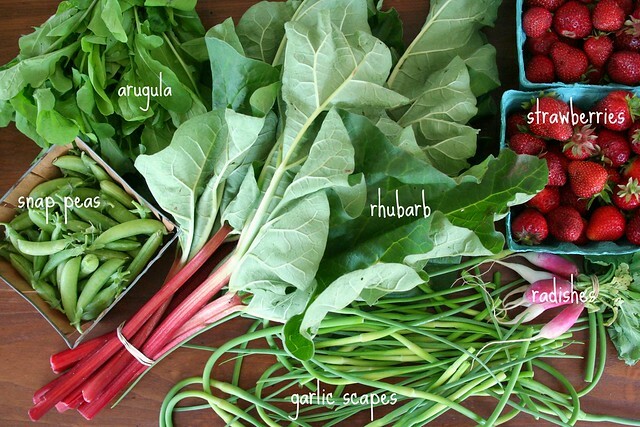 It was filed under farmers market and was tagged with arugula, farmers market, fresh produce, garlic scapes, radishes, rhubarb, snap peas, strawberries, summer. 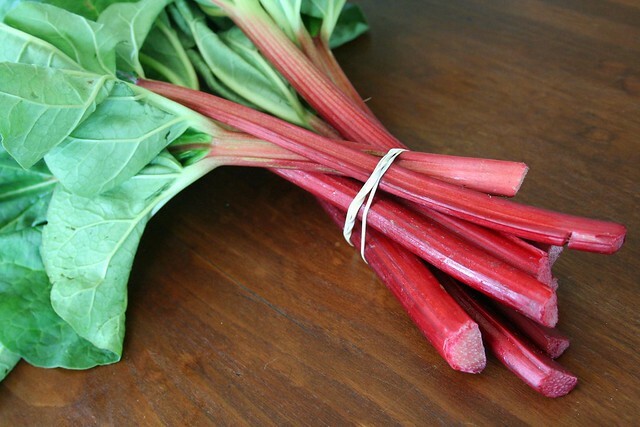 You’ve got to love that rhubarb. Not seen any here yet in the North East. My parents in the UK are teeming it with them. I have rhubarb envy! I’ve never heard of garlic scapes. What do you do with them, besides buy them because they are pretty? I made garlic pesto and scape and pecorino frittata with mine. Oooh, the frittata sounds lovely!